Thanks Ramya, I have the picture too will upload it soon. Because of my tight schedule and everybody is sick, couldn't find time to upload pictures. 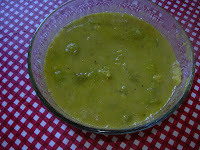 Also I stopped using coconut in all my recipes instead I am using the roasted urad dhall powder. 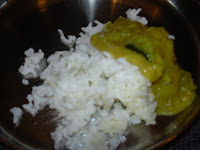 hey vidya its amazing to read ur blogs and i look forward everyday to check out what recipe u have added today. i have got so many recipes from ur blog. i have been searching for 1 recipe in particular and thought ur the right person to ask. Do u know how to make chena masiyal or thogyal? Thanks guys. will upload the pictures soon and post it. thanks a lot vidya got the recipe from ur archive.